The American flag is flown at half staff over the White House in Washington, on June 12, 2016, after President Barack Obama spoke about the massacre at an Orlando nightclub. A county official in Alabama refused to fly the flag at half-staff following the massacre, even with directives from Obama and Alabama Gov. Robert Bentley. An Alabama county official refused to lower flags this week to honor the Orlando massacre victims, according to NBC News. Baldwin County Commissioner Tucker Dorsey said he wouldn’t lower flags because the shooting was not a “valid circumstance” for flying them at half-staff. He also refused to lower the flags after the Paris and San Bernardino attacks. President Barack Obama and Alabama Gov. Robert Bentley both ordered flags to be flown at half-staff after Sunday's massacre. "First and foremost, my soul aches for the families of the innocents killed, and my family prays for them and the world. ... I realize that the President and Governor may make the order, but I believe and interpret their order inconsistent with the adopted flag code," Dorsey wrote in a statement. The U.S. 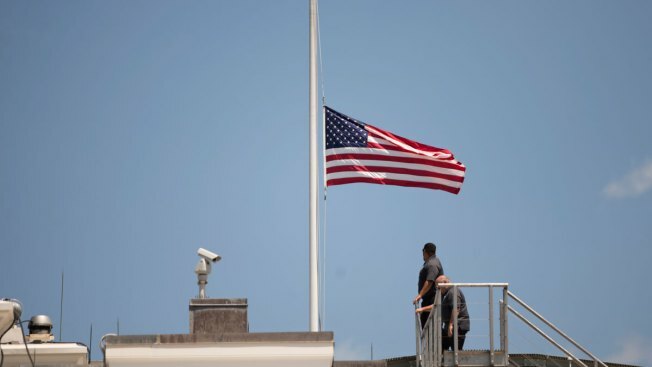 Flag Code says flags must be flown at half-staff on Memorial Day and sets guidelines on how many days it should be lowered after the death of a government official.